Bruce L. Kinzer provides the first comprehensive investigation of J.S. 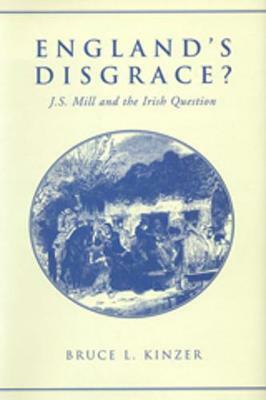 Mill's multifaceted engagement with the Irish question. Mill, the pre-eminent thinker of his generation, sought to come to terms with the fundamental issues inherent in British-Irish politics. The Irish famine, the question of land reform, the controversy over higher education, and the various dimensions of the Fenian challenge, hallmark the landscape of Mill's more than forty years of writing on the Irish question. Kinzer's discussion of these episodes pays close attention to the ebb and flow of the issues as they touched upon the English political consciousness. Many of the factors shaping Mill's handling of the Irish question are reflective of a changing English political environment, one in which he sought to create for himself an influential place as radical critic and purposeful agent. This study argues that Mill's perspective on the Irish question, his trenchant assaults on English parochialism notwithstanding, had a decidedly Anglocentric tilt. The condition of Ireland mattered to him mainly for what it said about the condition of England.